In September of 2015 the Lord led us to join a team effort with the Alabama State Board of Missions, the Baldwin Baptist Association and First Baptist Church of Gulf Shores in their desire to plant a new church in Baldwin County. As I look back I can see how God orchestrated every individual and group we spoke with and worked with for this specific effort. Each one had been praying and preparing for this purpose, and we were blessed to be able to be a part of it. I see now how God had changed my heart and was changing my life for this new ministry by putting a desire in me to lead a church that was geared toward reaching the unchurched of this and the next generation in this area. leaving many unnamed. God knows who you are and what you did, and I thank you! God’s work in and through Oasis Church! This will be my last official regular newsletter to you, our ministry partners, not because we don’t need or want you, but because I want you to share in the joy of knowing that we are taking baby steps and are now able to give and share with others as you have shared with us. We are praying daily for God’s direction as we seek His will in our next steps to be the church that He would have us to be. Your continued prayer and support will be greatly appreciated. 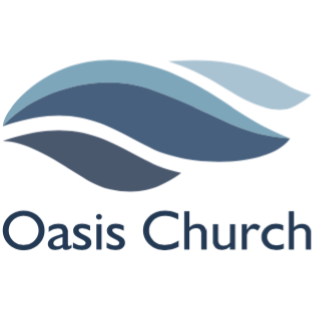 Remember, if you ever want to know how things are going or what is going on at Oasis, you can check us out at www.oasischurchsbc.org or on Facebook at Oasis Church at the Wharf .